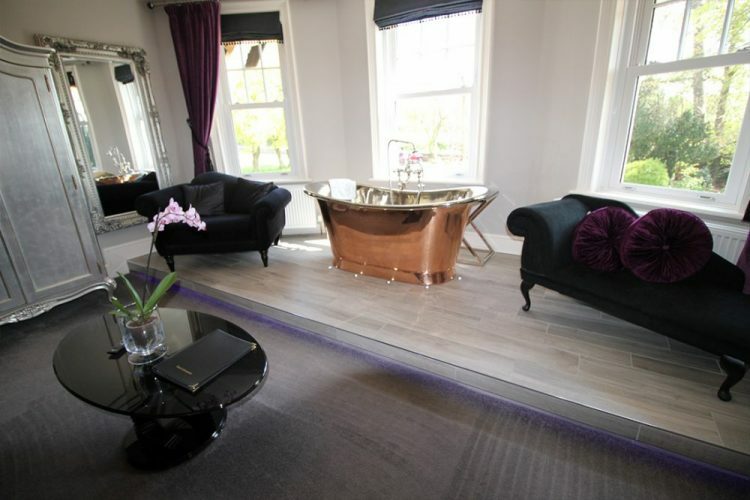 This large room named after the famous novel “The French Lieutenant’s Woman”, by local author John Fowles, has a southerly view over the garden and countryside to the front of the hotel. 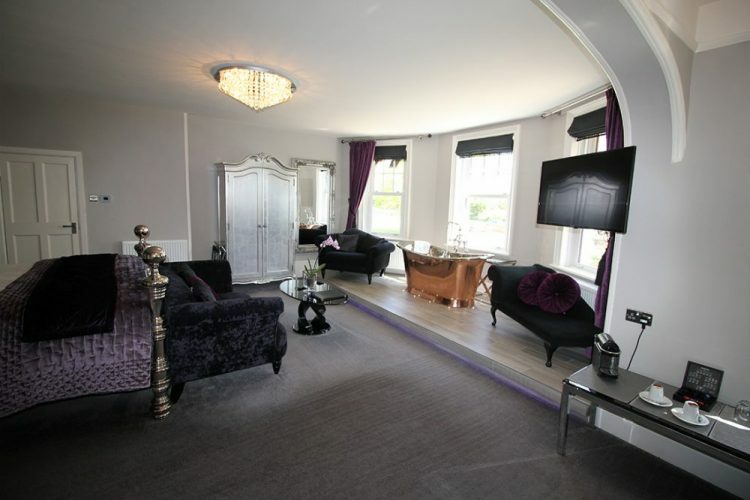 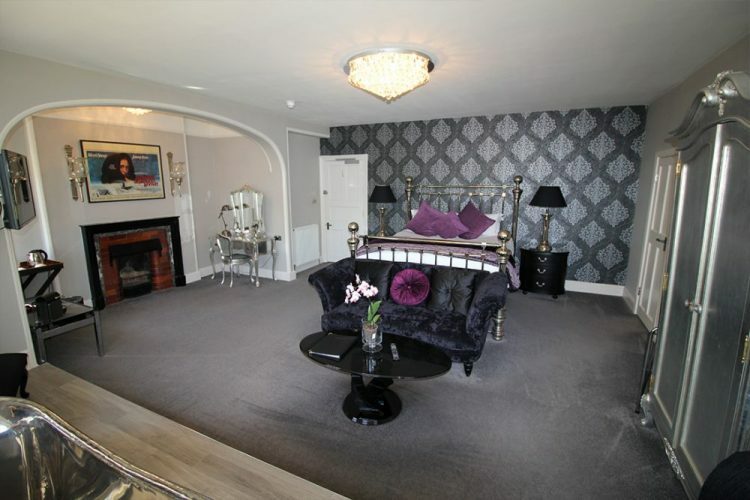 The room contains a feature fireplace and a super king size nickel And So To Bed Dickens bed and mattress. 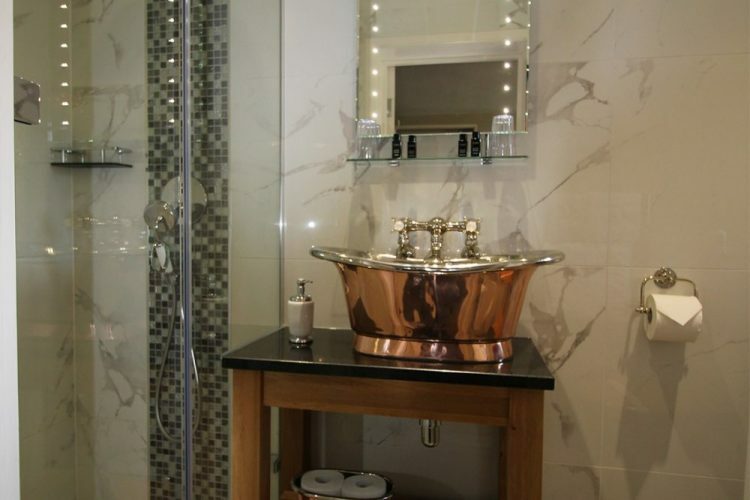 A stunning feature is the copper double header William Holland copper bath set on a plinth in the room’s large bay window. 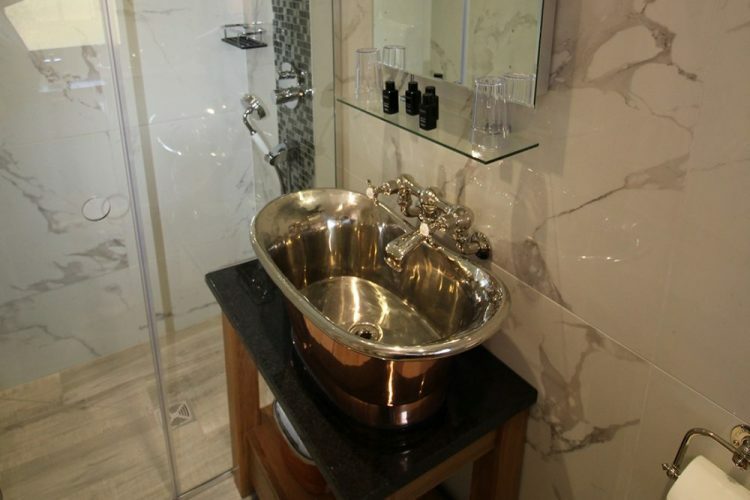 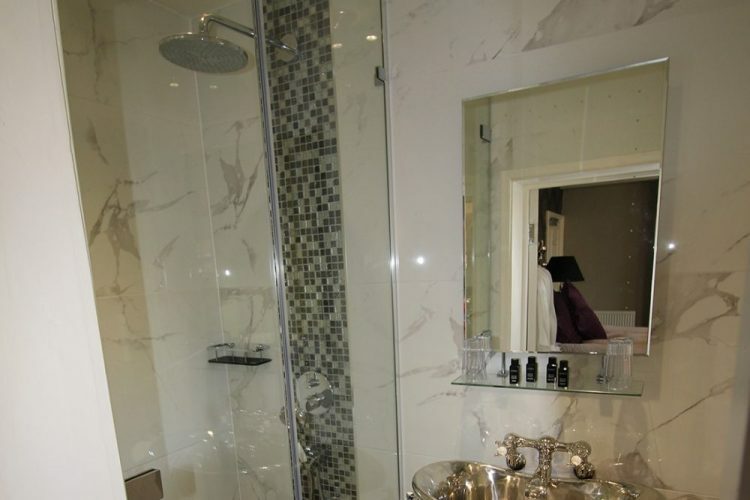 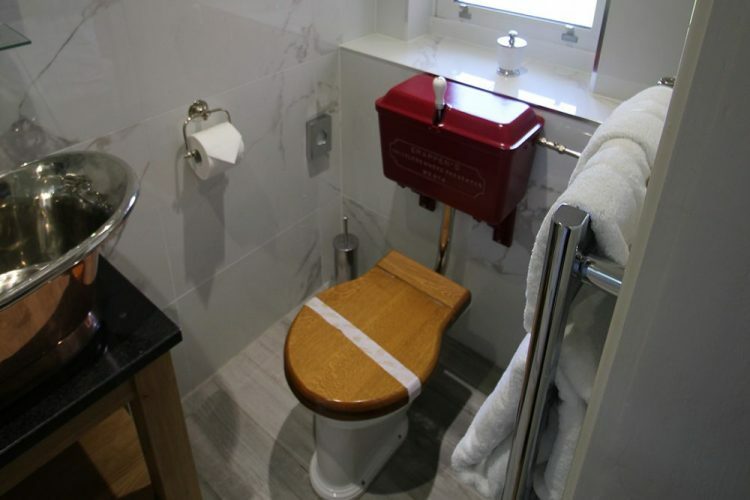 In addition the en suite has a walk in shower, mini copper bath basin and Thomas Crapper sanitary ware. 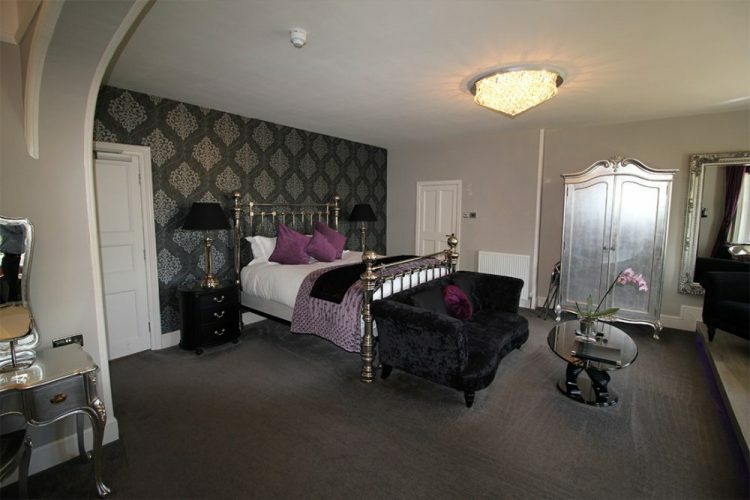 "The rooms are all very tastefully decorated and furnished every need is catered for . 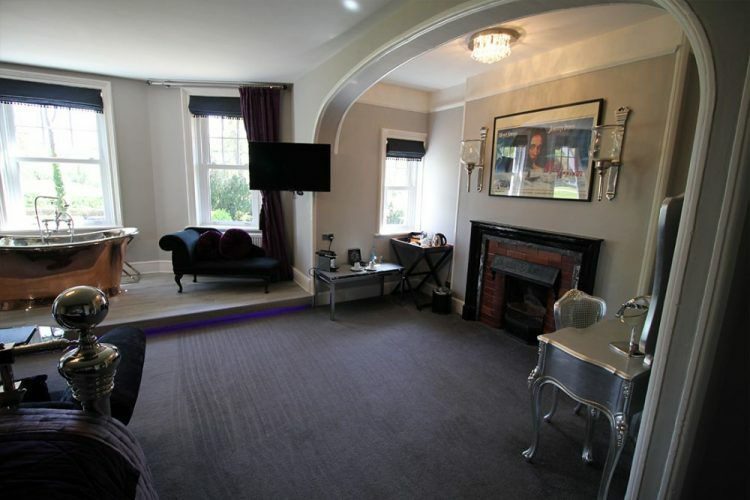 Breakfast was excellent and the staff very efficient and friendly."